Formica subsericea (I think) either knowing the answer to a question I asked it, or clearly marking it's territory. By which I mean glaring at the camera and chasing me farther away from the precious aphid herds. 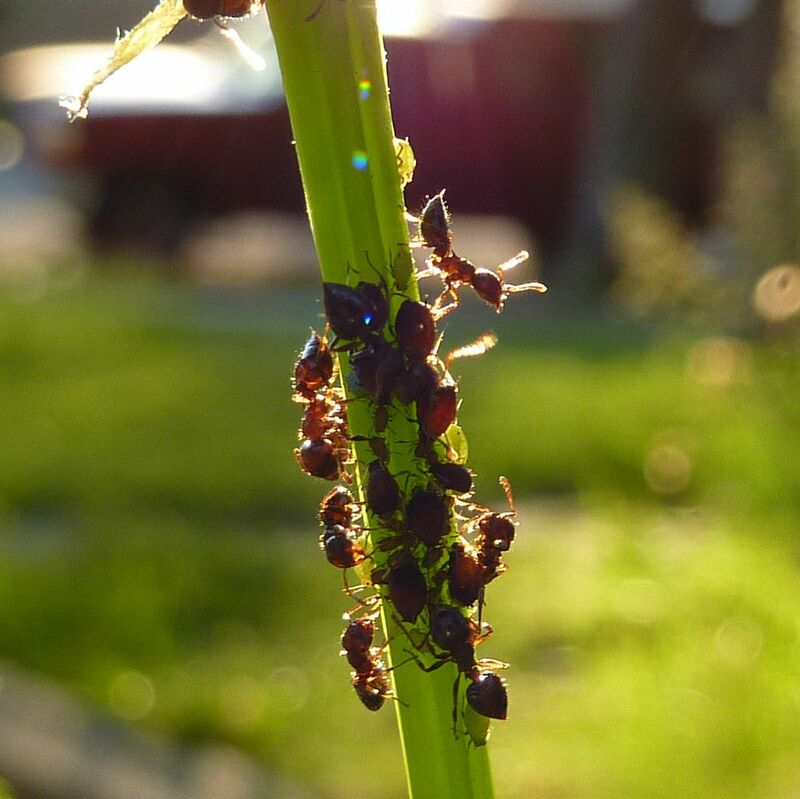 Aphids and other dew producing insects are finally becoming abundant enough to catch the attention of ants far and wide. Though some species prefer to collect the nectar second hand as tiny droplets drip down onto lower leaves. 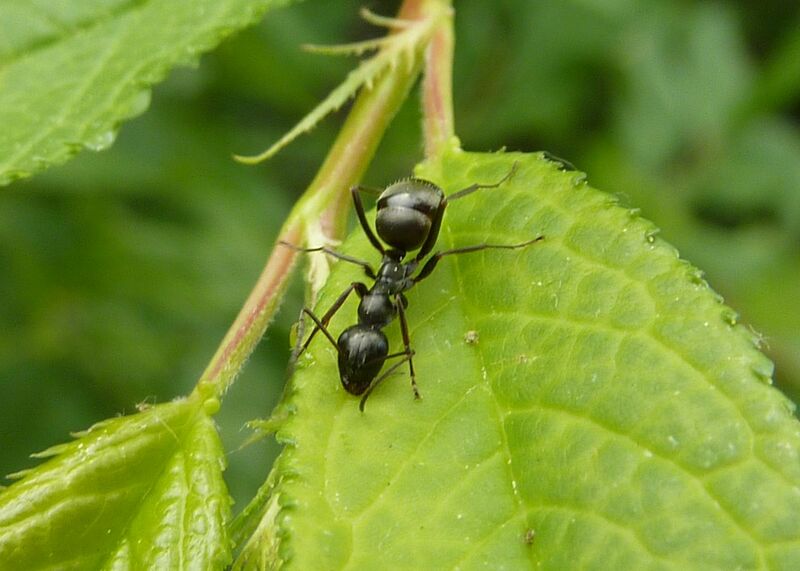 This ant attention benefits the plant because the ants drive away insect herbivores. Some plants do this naturally by producing extra floral nectar, which also discourages the ants from stealing it from the flowers. 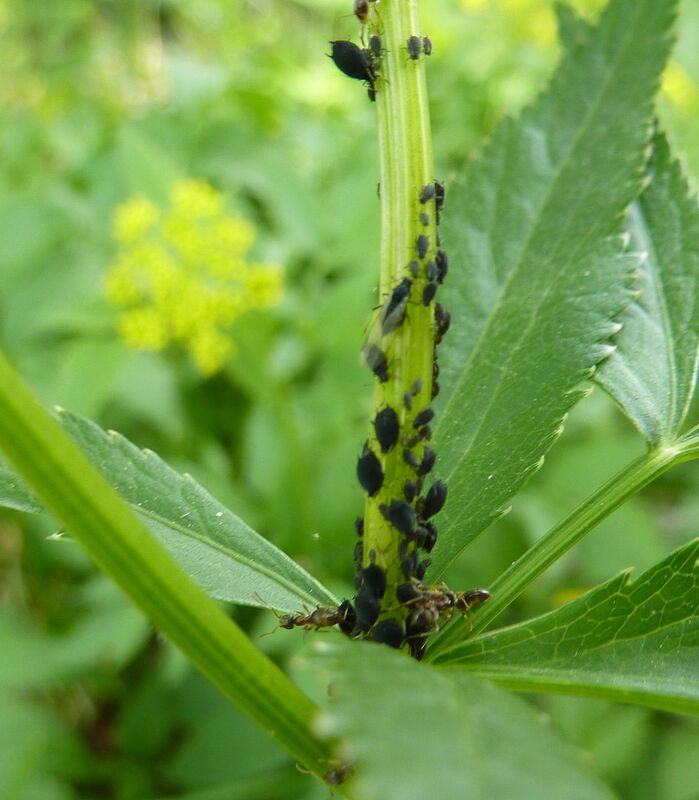 The downside for the plant is they can't control the number of aphids. 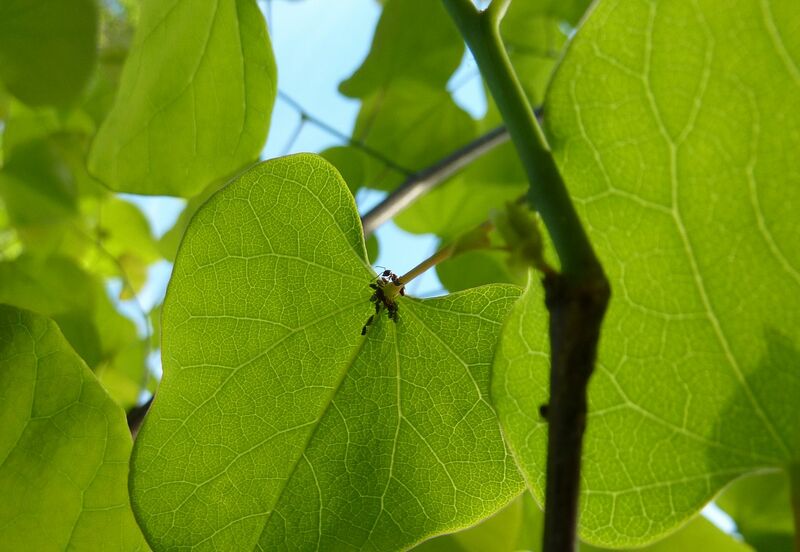 This can be a real problem for the plant but typically it only inhibits the production of new growth and doesn't cause as much damage as a veracious horde of caterpillars. Some caterpillars can completely defoliate a host tree twice over in a year. 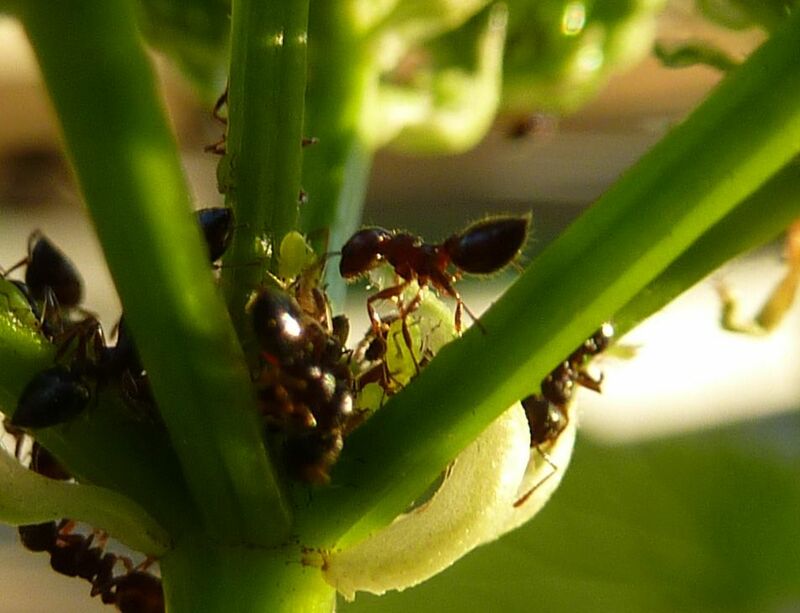 So having some ants crawling all over to discourage or even remove the problem of caterpillars greatly benefits the plant. 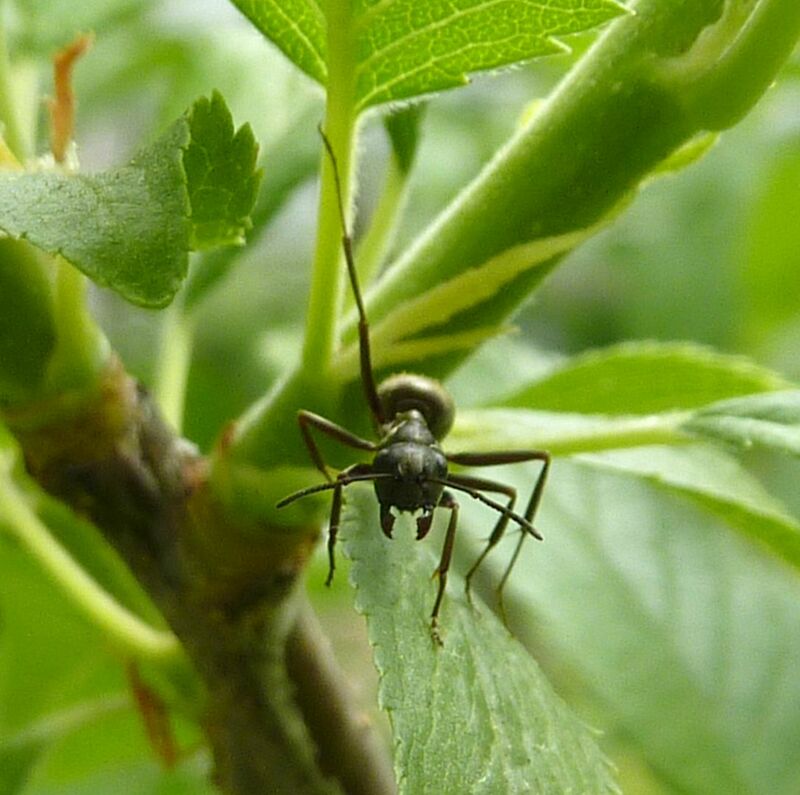 A Lasius alienus tending some aphids on an Eastern Redbud. Crematogaster cerasi blanketing over aphids on the stem to a Viburnum. 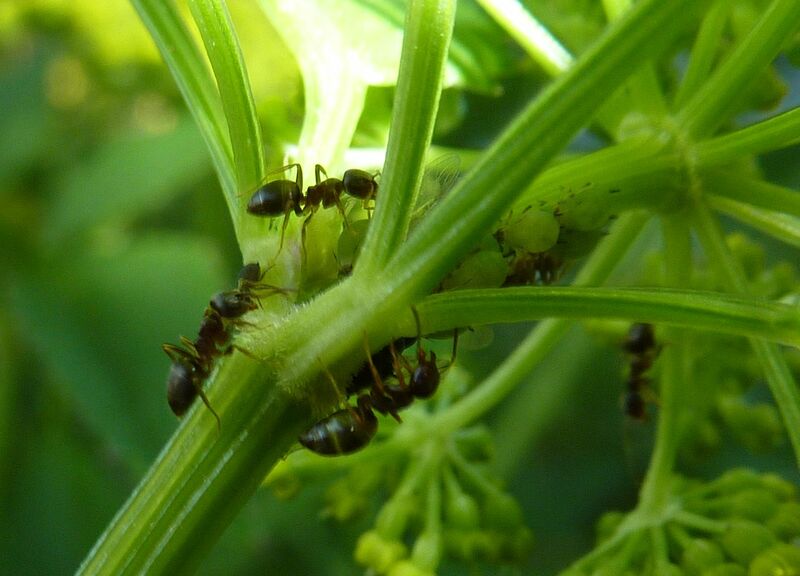 Tapinoma sessile tending aphids on the stem to a Golden Alexander.